Micro Machines World Series Review | Nerd Much? The Micro Machines franchise has always been sort of bubbling under the radar. It’s a game that has been around for quite some time — first released in 1991 — but it never really hit it big. And, it’s one of those franchises that I just never understood why others weren’t really playing. It’s so “video gamey” at its core that you would think it’d be a lot bigger than it is. Unfortunately, it’s not as big as I’d like it to be. So, it’s really no surprise that Micro Machines World Series released last week and no one is really talking about it. 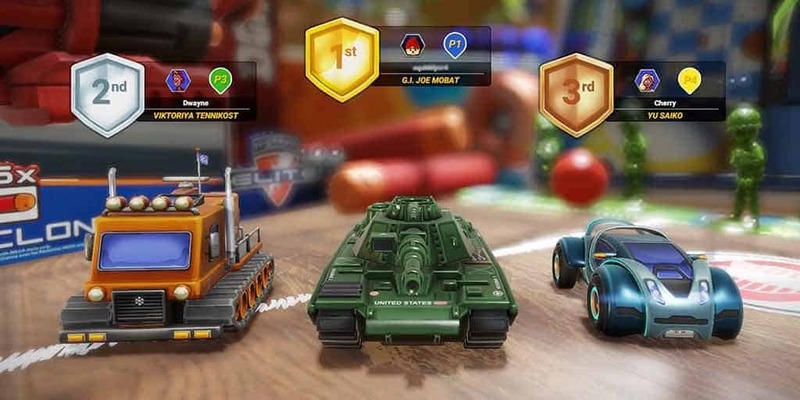 That’s right — Micro Machines made its return after a 10-year hiatus, and it doesn’t seem to have gained any sort of ground as far as growing its player base or popularity. Strange. But, that isn’t actually a reflection on the quality of Micro Machines World Series. In fact, the newest game, developed by Codemasters (same creators of DiRT, F1, and GRID), feels pretty good. Unfortunately, that feeling doesn’t last very long. If you’re already familiar with the franchise, then just know that the same basics are in play here; you’re still a toy car, and you’re still traveling around household-set tracks, including toy rooms, a kitchen, and more. It still has the same top-down view that the series had previously as well, so there’s nothing new there, either. However, it does introduce a few new ideas — and by that, I mean new to the franchise and not new to video games. In fact, it takes a lot of inspiration from the recent trend of hero shooters like Overwatch and LawBreakers where it allows players to choose specific characters (in this case, cars, of course), give them a handful of abilities, and equip them with an ultimate ability that gradually builds up over time. While it’s a clear copy and paste of some of Overwatch‘s mechanics, it works well-enough here that we simply don’t care. And, of course, there are loot boxes — which, despite popular opinion, I’m a big fan of. But alongside its new hero shooter skin is a handful of problems that hold the game back. For starters, when you’re looking for a match online, the game will fill empty slots with AI opponents. While that reduces waiting to a minimum, it truly makes some of the matches feel lifeless, as if you’re just there throwing a rubber ball at a wall because no one will play with you. Secondly, the fact that there are such limited options all around. There are only 12 cars to choose from, a handful of maps, and only a few modes. What’s more, in Battle Mode, you’re unable to choose the specific type of Battle you want to play, so you don’t know if you’re going to be playing King of the Hill or Capture the Flag. The third, and probably the biggest problem, is the touchy control scheme that doesn’t mesh well with the top-down view. Controlling your car feels as though the trunk is filled with a heavy liquid, splashing around as you turn. It over-compensates when you turn too far and try to correct your course, making racing with precision incredibly tougher than it should be. Each of the cars has their own purpose, with the ambulance appropriately serving as a healer, the tank being a tank class, and some of the others serving as straight up DPS. And, like in Overwatch, each car has a plethora of skin options that you can buy with coins you’ll earn along the way. The maps all look great, and there are some cool little touches worth mentioning. 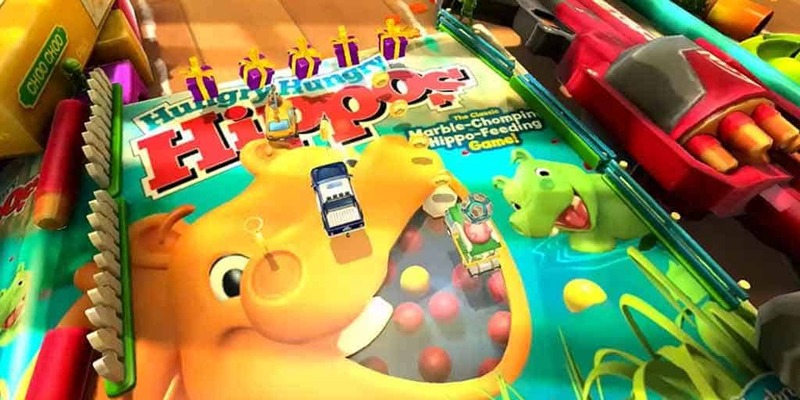 For instance, as you’re racing around some of the maps, you’ll find actually branded toys from Hasbro, including actual NERF Mega guns and Hungry Hungry Hippos. In one of the maps, you’ll drive into a toaster that launches you into the air. In another, there are skateboards that serve as ramps, adding a fun dynamic to the race. Each map feels unique, but there simply aren’t enough maps. At its core, Micro Machines World Series had the potential to be much more than it actually is. More modes, more options, and more cars could’ve made this into a much more formidable game. Its lack of content could’ve been slightly more forgivable had the controls not been such an issue. 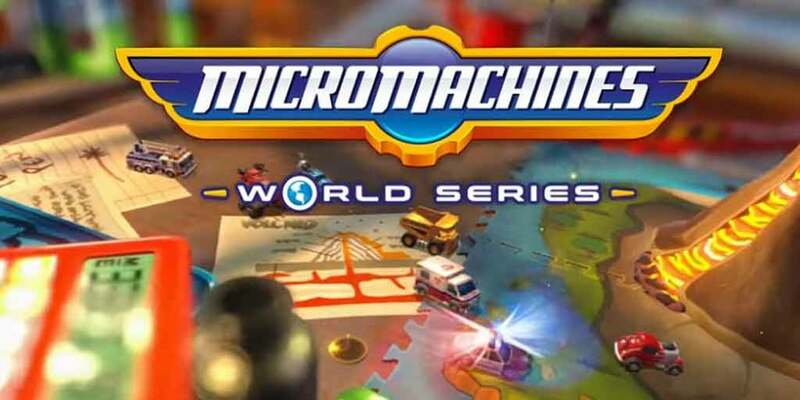 Are we saying Micro Machines World Series is a bad game? No, it’s not, and there’s certainly some fun to be had in there, especially when you’re playing with friends. But the fun here is quite shallow, and you’ll likely lose interest after a couple of hours.